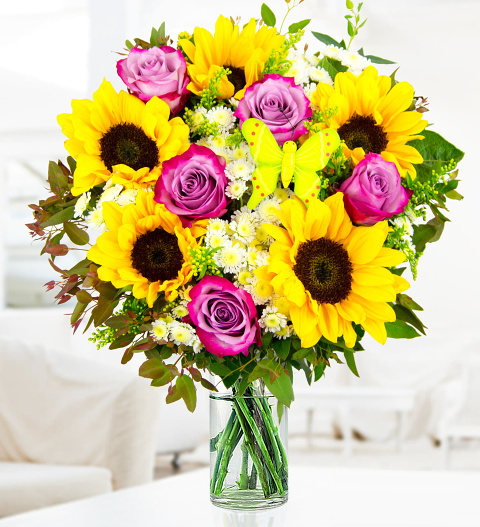 Send this seasons' first Sunflowers with beautiful deep water roses complimented with fragrant eucalyptus, stallions chrysanthemums and solidago. The delightful arrangement comes complete with a decorative butterfly and box of delicious British chocolates. Send this beautiful arrangement to send your very best of well wishes. Chocolates may contain nuts.